I found this thought provoking and challenging, and I mean that in the best of ways. In 2010, controversial performance artist Marina Abramovic brought world-wide attention to the Museum of Modern Art in New York with her work The Artist is Present. For 75 days she sat all day, barely moving and completely silent, going eye-to-eye with whoever wanted to sit opposite her in the space. People lined up for hours, even sleeping overnight in a queue, for their chance to sit and meet her gaze. 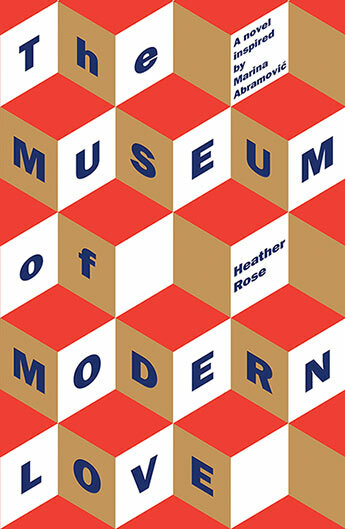 Those weeks are the heart of this book by Australian writer Heather Rose, who wrote it in part as the inaugural writer in residence at the Museum of Old and New Art (MONA) in Hobart. In this story, Rose focuses on Arky Levin, a celebrated composer of music for films, who is now separated from his wife. He finds himself caught by Abramovic and what she’s doing, and he goes back to the museum day after day, questioning his own ability to connect – to his wife, art, friends and life. Perspectives shift between the living and the dead – what’s happening is mesmerising and confronting and no one wants to turn away. Reading about Abramovic’s past performances – which include suffering pain and self-mutilation – really challenged my ideas about art and what it is to be an artist and how people connect to it.